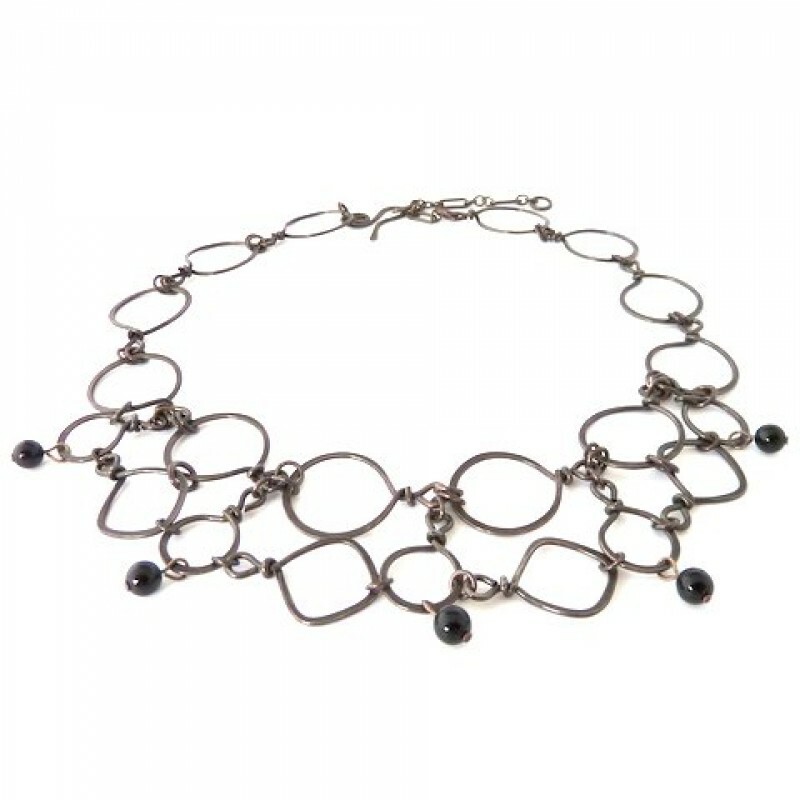 Circles and diamonds are hand formed, hammered and then oxidized to form a delicate yet bold adornment around the neck. 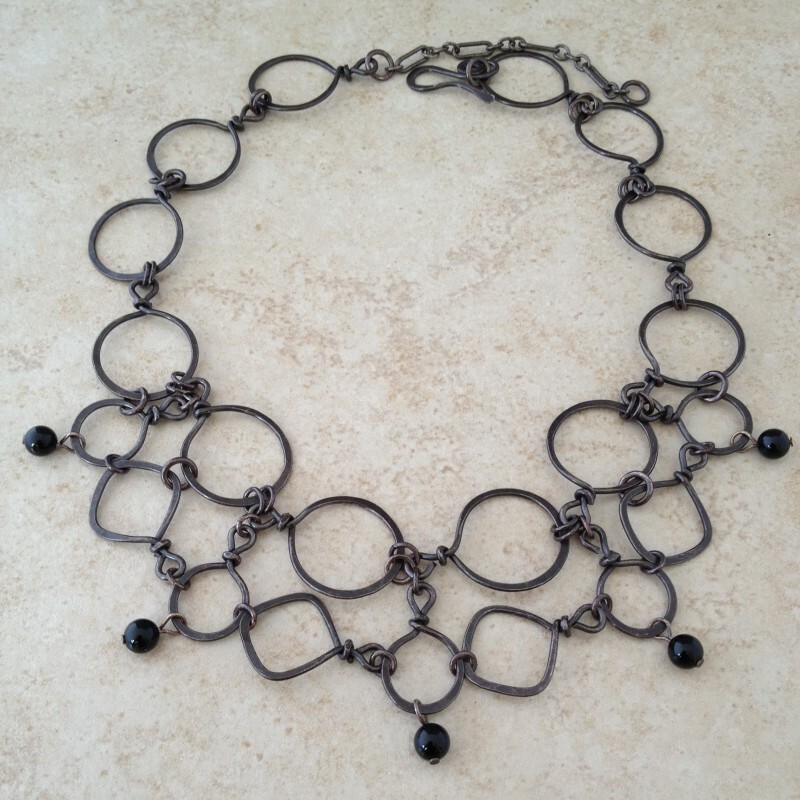 Five black onyx beads hang from the small circles. About 19" long and 2" wide (at the widest point, including the beads). Hand made easy to hook clasp. Adjustable by hooking the clasp at any link of the chain.